Ideally, you'll be so prepared going into every gig that there's no way you could possibly make a mistake. Unfortunately though, mistakes are inevitable regardless of how much preparation you put into a performance. That’s just how being human works. Oftentimes, mistakes that cause you to get derailed and lose your place in the song are the result of not paying attention, not being familiar enough with the material, having a temporary lapse in memory, or some combination of the three. There's no way you'll be able to hop back into the song until you know where the rest of the band is. The best thing to do when you know you're lost is to stop what you're doing, and just listen to what's happening around you. In order to find your place in the music as quickly as possible, you must familiarize yourself with the material you're playing to the point that you know what each section sounds like and what the other players do during those parts. This obviously requires a little preparation on your part. If you don't know what the chorus of the song is supposed to sound like, you're obviously not going to recognize it when the band is playing it. This seems like an obvious fix to losing your place, but it's amazing how many amateur groups have a player that will continue to plug along on the verse, even when the entire group has moved onto the bridge. If you've made a mistake, the best fix is to make yourself acutely aware of what's going on in the big picture. How often do you find yourself looking at the other players in your group? How often are they looking at you? If the answer is "rarely" or "never," you've just identified another likely cause of onstage mistakes. Consistent communication in your group is the key to having a tight sound, but even more vital when things are starting to fall apart in the middle of a song. Did your vocalist accidentally start the chorus a measure early? Look around to the rest of the band to make sure that they're aware of the mistake, and try to cue them into sync with your singer. Did your guitar player drop the ball and miss a transition? Give him or her a big cue into the next measure. You could even mouth the words "chorus" or "bridge" to the band so they remember where they're supposed to be. If you're able to help inspire communication among your band to fix mistakes, they'll likely do the same for you. If you're the one to lose your place, look to the other players in your group for help. If they're paying attention, they should be capable of cueing you into the next part. As a side note, this does require a certain degree of skill; in order to communicate and cue using physical motions and eye contact, you'll have to take your eyes off your instrument. If you can't play perfectly without looking at the fretboard or the keys, you're going to have to devote some time to practicing blind. 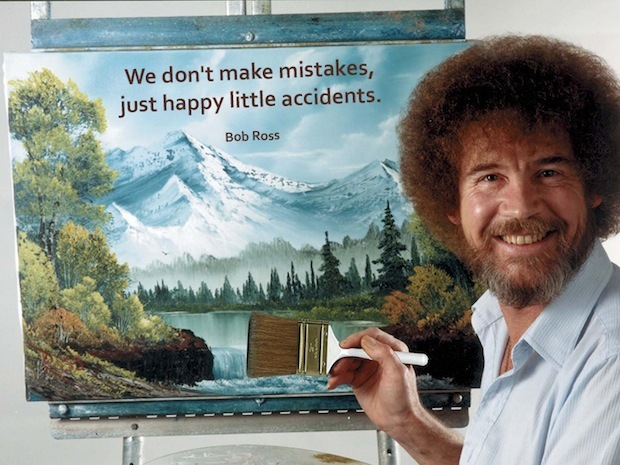 Though mistakes are inevitable, they can be everything from frustrating to downright devastating. Though you may be upset about a mistake, under no circumstances should you make your audience aware of that. When people come to see live music, they're expecting to have a good time. Watching somebody pout and get upset on stage is not widely considered to be a "good time." The best way to handle a mistake if you can't be neutral about it, is to have a positive outlook about it. Some of my favorite performance moments have involved bands making mistakes and laughing with each other about their silly mishaps. It's actually a very engaging stage technique, as it makes those onstage seem infinitely more human to those in the audience. When you're rehearsing with your group after your last show, you should absolutely talk about every mistake that was made and how it could be avoided in the future. But whatever you do, never, ever, ever, ever apologize onstage for a mistake that you made in one of your songs, or acknowledge it in any way once the song is over. Again, this can really dampen the mood in the room and the overall experience that the audience is having. Plus, nine times out of 10, the people in attendance won't even notice that a mistake has been made in the first place. Use this to your advantage! I'm a big advocate of blaming the player rather than the equipment for any deficiencies in a performance. With how much gear people are typically using these days, however, it's very likely that something will malfunction in the middle of a set. The more time in your set you spend dealing with "technical difficulties," the less interested people are going to be in your music. If you're going to use a piece of equipment, you need to get familiar with it to the point that you understand pretty much anything that could go wrong with it. This will involve lots of worthwhile research on your own time. If you're performing and something goes wrong, the absolute best way to remedy the situation quickly is to have a backup ready. Rather than making the audience wait around for you to change your broken string, bring a second guitar that you can grab as soon as something goes wrong. Do you have 30,000 cables rigged up to make your amp and effects units work? You better bring some extras and have them ready to go at a moment’s notice.